How come so few people have been called to fight for righteousness, and so many are called to be ushers and parking lot attendants at church? It’s God’s fault? What’s the response of the CHURCH to the problem of Islam? Abortion? The Natural Family? LGBT? We’re being assaulted. The answer is the heart of men. Challenging men to be all they were meant to be. When Jesus laid down His life, it was because of His obedience, we are saved today. Jesus didn’t say, “Hey Dad, can you find someone else to do this?” He obeyed. He did the hard thing. 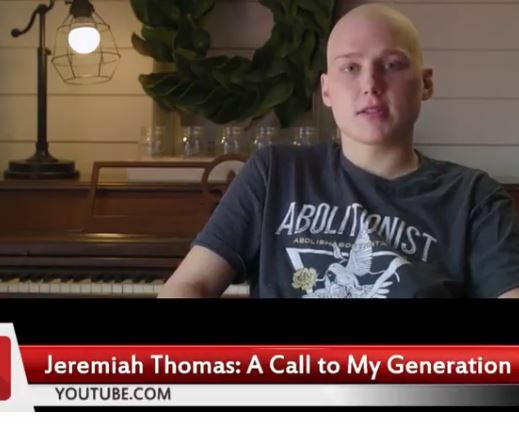 Could you do what Jeremiah Thomas did? He fought with all he had in him for the lives of the preborn. He let the Holy Spirit lead him and he didn’t put his own comfort before anyone else’s. I never met Jeremiah but it is clear that he loved the Lord with all his heart, mind, soul, and strength. He is greatly missed but we trust in the Lord with ALL things.